From chic canapes, naughty nibbles, elegant afternoon tea served on vintage crockery, a traditional formal three-course meal with a twist, buffets, barbeques or hog roasts to pop-up-tents, Touchays are known for our delicious day and evening menus. No matter what the season, at Touchays we all understand you want your wedding to be beautiful and know that the food is an important element of your day. Touchays love to give you and your wedding guests beautiful dishes that not only reflect the best the season has to offer, but we are proud to have recently been awarded Best independent wedding caterer in Kent. At Touchays we understand that not every couple is the same and doesn’t want to choose from a fixed menu for their wedding breakfast. At Touchays we are just as happy when working with couples like you who want to bring more of a personal touch to your wedding catering. We understand that you might want to choose a bespoke menu based on your own culinary inspiration or perhaps you want to include a favourite family dish that has been handed down from generation to generation. When you want your day to be totally unique and based around your own culinary taste and style, our originality, energy, and passion for learning about new food and dishes, and our total love of weddings, makes us your ideal caterer. Unsure of the type of food you want to give your guests for your wedding breakfast? If on the other hand you are not sure what food you want for your wedding breakfast or you are feeling indecisive about those crucial catering decisions (for example, should you offer meat or fish, two courses or three and canapés) we will work with you to help you to decide what will work with your family and guest dynamics. Just give us a ring or drop us an email, we would love to help. At Touchays, Clare in particular, also loves to help to contribute to delivering your overall theme and colour scheme. And because of our impeccable food styling, we have featured in You and Your Wedding magazine and have been entrusted to work on an A-list Celebrity Wedding and other prestigious events. Whether you choose from Touchays menus or you create something bespoke, using the team’s combined experience and knowledge we work closely with you, to help you to create an unforgettable wedding day food experience for all your guests. And importantly that includes those with dietary requirements! 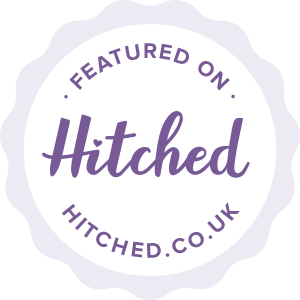 Read Touchays wedding couples reviews – The proof is in the pudding! We chanced upon Clare at Touchays but as soon as we met her (and sampled her wonderful cakes) we knew we wanted her to provide the afternoon tea for our wedding. Everyone loved it and they catered for all dietary needs and requests. Clare and her team went over and above what we would expect from a catering company and we loved everything about their service. Would recommend extremely highly to anyone. Thank you so much for making our wedding extra special. You went above and well beyond what we had hoped for. A month on and people are still talking about the food and costumes. The smell of the chilli tuna spoons were amazing, they were every bit as good when we ate them. I could go on and on about the spectacular food and how you made our Alice in Wonderland wedding perfect, but I have run out of room! So a big, big thank you to you all. Thank you so much for serving the most amazing food at our wedding. Everything was perfect and your team were so friendly and professional. They all looked good and spent time talking to and complementing our guests. Everyone has commented on the food, saying it was the best they had ever had at a wedding. The desserts were particularly yummy! Just to say thank you so much for your excellent catering for Sarah and James Wedding. The food was perfect, piping hot and served on hot plates. My vegetarian meal was really good but I wish I had not eaten it all as I had no room for that delicious looking dessert! Thank you so much for the best party ever. It could not have been better. The food was absolutely delicious and the lamb spit roast was a great centre piece and talking point. So many people raved about the smoked haddock soup. You all worked so hard and attentively to make the most wonderful atmosphere. Thank you again for all your hard and thoughtful work. Thank you so much for everything you have done to make Sarah and David’s wedding day the perfect day. The flowers were absolutely stunning. Your food was gorgeous everyone was saying how lovely it was an some were even please they managed to get a little extra. The evening buffet was just as popular and was enjoyed by everyone. You worked so hard throughout the day and helped to make it magical for both Sarah and David. If anyone asks me if I know a good caterer for a wedding then I will certainly be recommending you. Thank you once again for everything you did. Just a quick note to say thank you so much for doing the cooking for our wedding. The food was so delicious and well presented, and everyone loved it. I’m trying to decide which bit was my favourite but I can’t because it was all great! We had the best day, everything went without a hitch and we loved having all our friends and family to celebrate with us. Thanks again we will definitely recommend you to others! First of all a big thank you to you and all of your team who worked so hard helping to make Louise and Jonny’s day so special and such a success – we really appreciated it! I just wanted to thank you and your team for the wonderful food you prepared and served for Lorraine and Barrie’s wedding on Saturday at Hayne Barn House. In Lorraine’s words “it was absolutely amazing!”. All the guests I spoke to afterwards were extremely complimentary and I know that I certainly enjoyed my dinner! One guest said in the evening that he had been to several weddings recently that had served hog roasts but yours was the best he’d tasted by far! This all added to Lorraine and Barrie’s enjoyment of their day. It was everything they hoped it would be. Thank you so much! I would just like to say a huge thank you for the food that you prepared and beautifully served on Saturday. Everybody commented on how wonderful it was, and I would 100% recommend you to all of my friends and colleagues in the future. Contact Touchays at events@touchays.com, 07885 806066 or fill out the contact form, for a free no obligation quote. We would love to hear from you! For example: Three-course meal, Afternoon tea, BBQ, Hog roast, Food Stations etc. Want to bring a personal touch to your menu? Tell us what you have in mind!